Birds that we have as pets, such as parrots, canaries or parakeets, may have problems of peak by living inside a cage. A healthy beak must have a symmetrical appearance, where the top should be perfectly aligned with the bottom, not have any strange peeling or texture and not have discolored areas. If your bird has a healthy beak, it will use it to chew, play and eat. Otherwise, you will avoid using it because it hurts you. If you're not sure if your bird's beak is the way it should be, you'd better pay a visit to the vet. Birds that live in nature naturally wear their beaks, but those who live in cages do not have to. The point is that if the peak becomes overgrown, it can be very uncomfortable and even cause great difficulties to feed or drink. And not only that, but also, they can hurt when we take them or spoil the furniture when we take them out. But other abnormalities may also occur such as flattened beaks or scissors growth. Both may be related to genetic causes and feeding techniques. Think your bird's beak is like the thumb in humans, so it's one of the most important parts of your body to handle in your daily actions. This means that we should care for and protect this part of your anatomy in the best possible way so that you enjoy a happy and healthy life. To avoid these problems and our pet to enjoy good general health, here are some tips. 1. In any bird products store you can find different items such as cuttlefish, bones, cuttlefish, calcium stones and other items that can be used to wear the beak, especially for parakeets and canaries. Any toy or object of this kind that serves to chew will help you to adjust the beak. Stringed mineral parts, natural coconut parts, plastic beads or wooden blocks are an excellent choice. Yes, make sure you turn the toys often so you don't get bored. There are also wooden toys to hide treats that require the bird to chew to get the food, which is a good idea. 2. 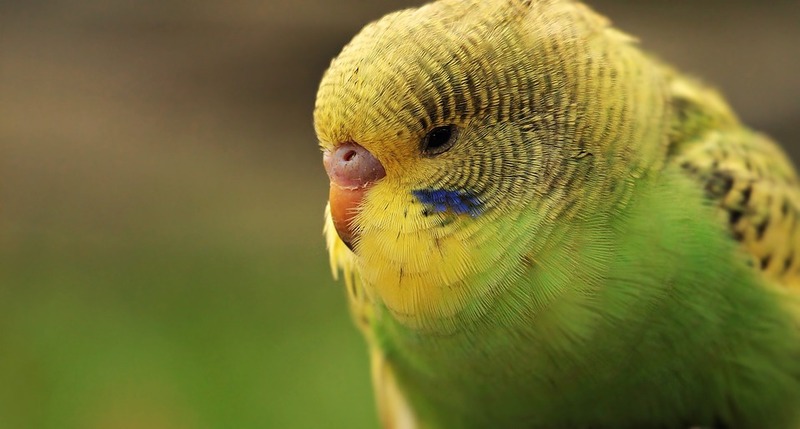 If you suspect your bird's beak is growing inadequately, you should make a visit to an avian veterinarian who can determine what is causing the problem and, if necessary, trim it so that it can be fed and groomed without any problems. It is essential that the cut of the beak is always carried out by a specialized professional. Unless you have a lot of experience in it, you should never try, because if you leave it too short, it could bleed and cause great pain. And, worse, it may be difficult or even impossible to eat, which would lead to death. 3. Providing your bird a healthy and balanced diet will help your beak also develop without anomalies. In this sense, it is best to opt for granulated foods and occasionally give them some fresh vegetable rations. 4. Because birds often use their beaks as a third arm for very diverse tasks, peak infections are a common occurrence. To ensure your wellbeing it is important that we are attentive to detect and disinfect the cage often as a form of prevention, since this can not only affect the beak, but also cause it to lose plumage, cause diarrhea, weight loss, etc. It's not a big deal, but if it's important to go to the vet. In some cases, the bird itself may experience an immunologic reaction and gradually improve itself. But if you do not and live with more birds in the same cage, you must isolate to prevent spread the rest.